Now, for the definition of who is a Palestinian, it gets a little tricky. Again, for the sake of clarity, I will say, “any physical descendant of the various Arab inhabitants of the Land of Israel known as Palestine prior to 1948.” While I do not believe that tracing the Palestinian people historically is possible, we must recognize that Arabs born in the Land of Israel when it was still known as Palestine are real people, not responsible for the conflict in which they were born. We must not forget that Palestine as a word was introduced by the Roman empire at the time of the Bar Kohba Revolt in AD 132 (A failed Jewish revolt against Rome.) To humiliate the Jewish people, Jerusalem was renamed Aelia Capitolina and Israel became known as Palaestina. Unfortunately, the word stuck and until 1948, “Palestine” was the word used to describe the geographical area that has always been known as Israel before. Eventually, under the leadership of Yassir Arafat and subsequent “Palestinian” leaders, the etymology of the word was expanded to mean both a land AND a people, a political claim that cannot be proven historically, archeologically, culturally or biblically. 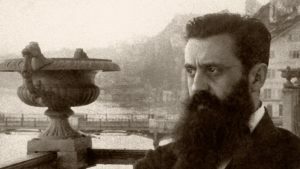 Logically, we now need to look at what defines a “biblical Zionist.” We often hear the words “Christian” and “Zionist” put together to describe someone who would consider himself a follower of Yeshua (Jesus) and a supporter of Israel and the Jewish people’s right to the land. I prefer the term “biblical” to “Christian” as it pertains to those who love and support Israel. 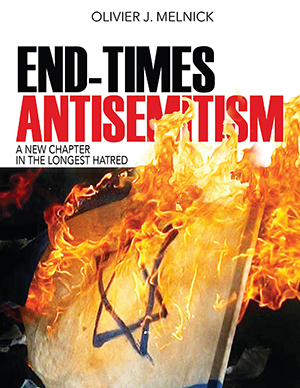 Unfortunately, in the last few years, many people who call themselves Christians have displayed quite a bit of antisemitism and have supported faulty views like Replacement Theology or Christian Palestinianism. 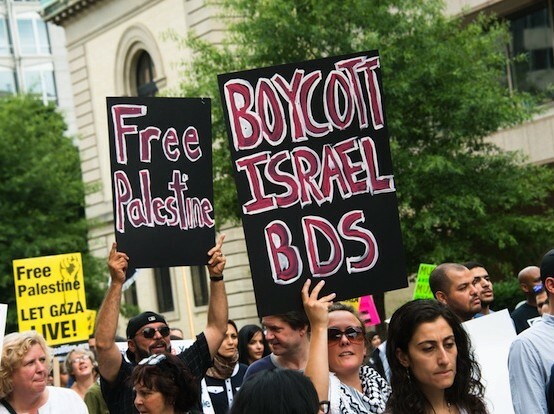 We also need to mention the recent upsurge of support for the Boycott, Divestment and Sanction (BDS) movement from several mainline Christian denominations. Furthermore, in Genesis 28:13-15, the Abrahamic Covenant is reconfirmed through Isaac’s son Jacob where the same land (vv. 13, 15) spoken of prior, is promised to Jacob and his descendants, as it was promised to Isaac before. It continues to be unconditionally given as we know through the biblical record that Jacob lied to his father about his birthright. Apparently, it was in God’s plan to have Jacob and not Esau inherit the blessings of the Abrahamic Covenant from Isaac. So biblically speaking, the descendants of Abraham, through Isaac and through Jacob can only be the Jewish people. 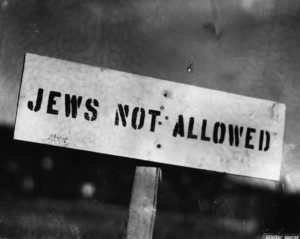 But the great love that biblical Zionists display for Israel and the Jewish people should not be exclusive, and it should extend to all, even those who have been indoctrinated to hate and destroy Israel. In the words of Yeshua in Matthew 5:44, we read, “But I say to you, love your enemies and pray for those who persecute you. This absolutely doesn’t imply that all Palestinians today hate the Jews, as we should never paint with broad strokes. Yet, as difficult as it might be to fulfill that command, for those who take the Bible seriously, it is a command nonetheless. So YES, a biblical Zionist not only can but should love the Palestinians. 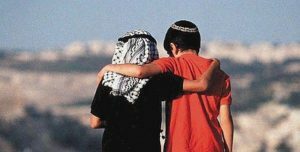 Over the years, I have found that to love Israel one doesn’t have to hate the Palestinians, but sadly, the opposite is seldom true!